Obituary for Doris "Weezie" (Bagwell) Hill | Hardy & Son Funeral Homes, Inc.
Doris Hill, 79 of Smiths Grove, died Thursday, January 17, 2019 at St. Thomas Hospital. The Hardin County native was a daughter of the late James R. and Lillian Withers Bagwell. She is preceded in death by her husband, Dr. James S. Hill. Doris was employed at the Warren County Public Schools Department of Transportation and a member of Smiths Grove Baptist Church. She has been a resident of the Smiths Grove area for many years. Better known as "Weezie" she brought delight to everyone she encountered--stranger of friend! She was involved in many civic and church groups; took part in many mission trips; and loved her Lord and Savior, Jesus Christ. Her life was a living testament to the legacy that she is leaving. Her love of life was demonstrated daily to the very young and the elderly. Weezie leaves behind two sons: Larry Hill (Kim) and Dr. Stuart Hill (Tracy). Her two daughters: Ann Jones and Dinah Poynter. Her treasured grandchildren are: Kelley Shilling (Jay); Lesleigh Lawrence; Terry Lee Poynter (Amanda); Daniel Poynter; Ciara Barnes (Donny) and McKenna Hill. Her beloved great grandchildren are: Michael Richard Parker; Kara Poynter; Justin Poynter, Kayleigh, Isaac and Alec Reneau and Ellynie Poynter. 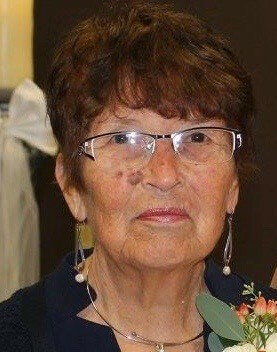 She will be greatly missed as a part of the Sisters that enjoyed many yearly trips. Sisters are: Ellen Munchbach (Tom); Lorraine Bormann (Hank); and Loretta Dalrymple (Stan). She is also survived by many nieces and nephews. Her funeral service will be at 2:00 p.m. Sunday at Hardy & Son Funeral Home, Smiths Grove Chapel with burial in Smiths Grove Cemetery. Visitation 1:00-8:00 p.m. Saturday and 10:00 a.m.-2:00 p.m. Sunday at the funeral home. In lieu of flowers, donations to Smiths Grove Baptist Church Ruth Class or the Building Fund.